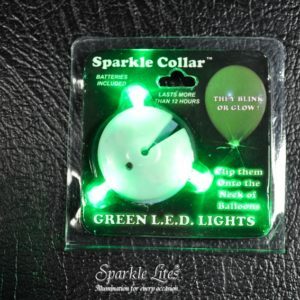 Sparkle Collars – U.F.O shaped lightweight – with 3 L.E.D lights around the outside edge. 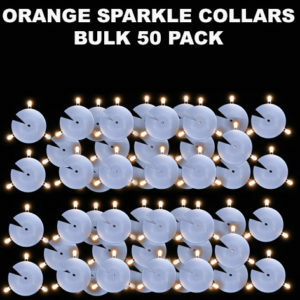 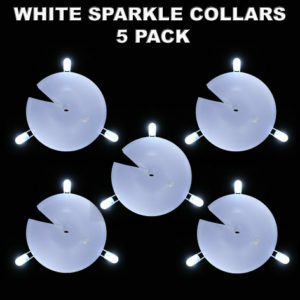 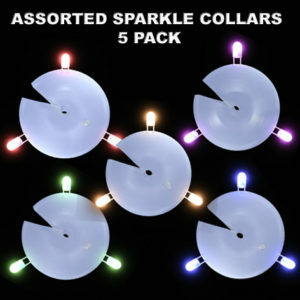 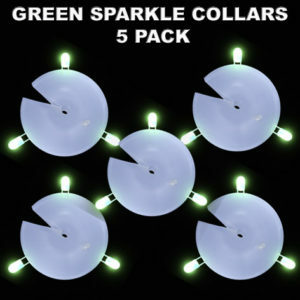 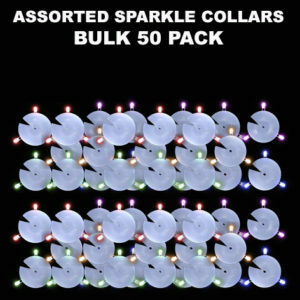 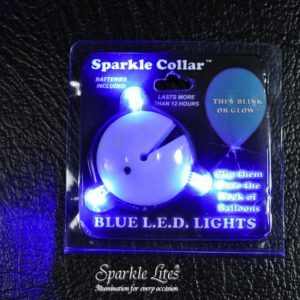 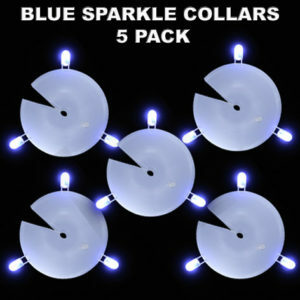 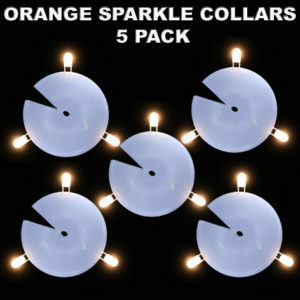 Sparkle Collars are designed to slide onto the neck of latex balloons giving a 360 degrees lighted effect. 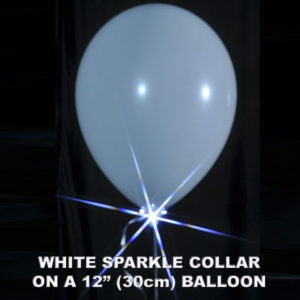 Sparkle Collars are so light that they will float on a 28cm latex balloon for more than 8 hours, 3 times longer than that if you use Hi Float®. 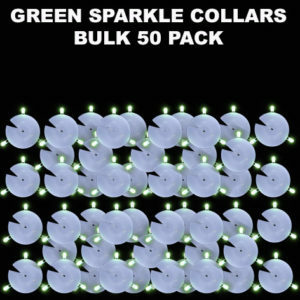 Sparkle Collars come in 6 different L.E.D light colours to colour co-ordinate with your colour themes. 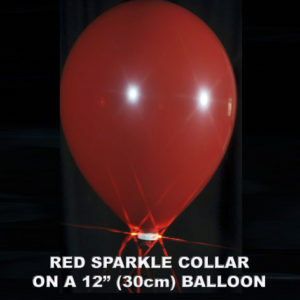 You can use Sparkle Collars on any size latex balloon, they blink, they glow, they turn on and off & the effect is stunning. 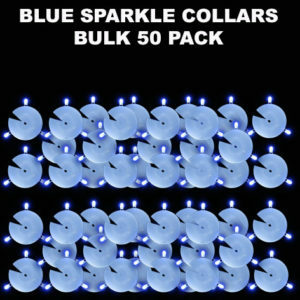 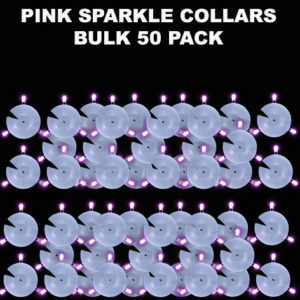 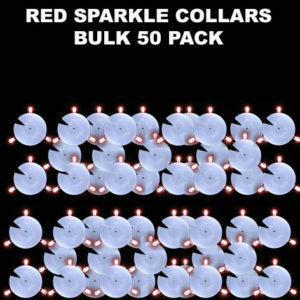 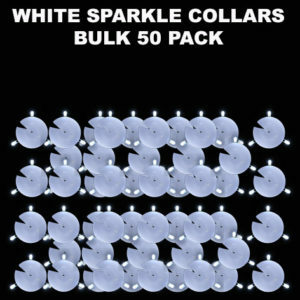 AS A RESULT WE HAVE NOW REDUCED THE PRICE ON ALL SPARKLE COLLARS. 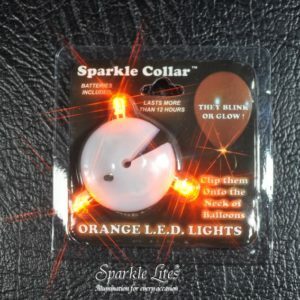 This Video shows you Sparkle Collars attached to balloons, the video we hope will be inspiring and informative. 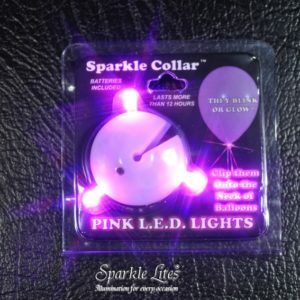 Sparkle Collars are so easy to use Sparkle Collars are so much fun Sparkle Collars are dynamic Sparkle Collars bring balloons to life. 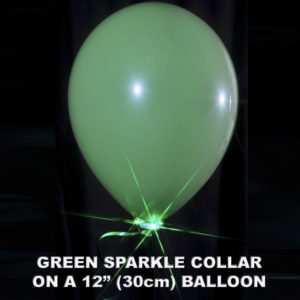 We STRONGLY advise only using 28cm helium grade quality balloons when using Sparkle Collars to assure that they float for 8 hours or more. 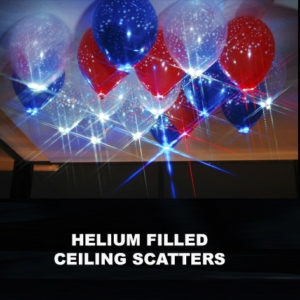 We offer these balloons for sale – see below.